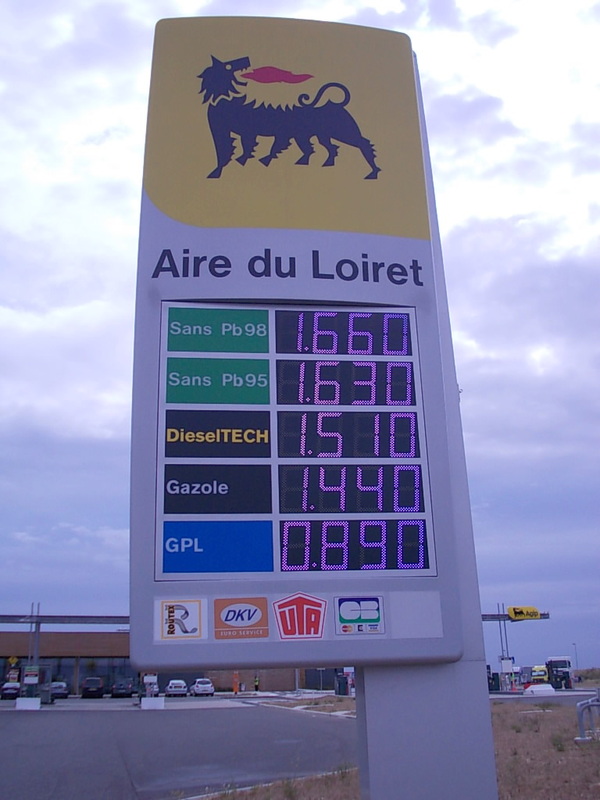 I took this on Sunday, July 10, 2011 along route A77 towards Orléans. 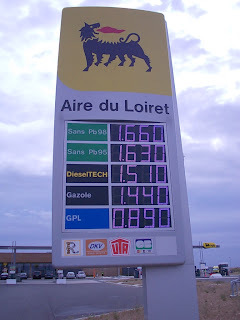 Luckily, I had filled up at just 1.42€/liter ($7.64/gallon) back near Fontainebleau. Otherwise, I'd have paid the 1.63€ figure, which comes out to $8.78/gallon. We were approaching today's holiday... Happy Bastille Day, everyone!